Over the past decade, the sustainability revolution has made its way into the world of finance, with institutions and individuals keen to invest. Our pull on the planet’s resources has reached a point where issues such as climate change, water scarcity and the energy crisis require a concerted effort between multi-lateral institutions, governments, corporates and private individuals. The United Nations has estimated that developing countries face an annual funding gap of USD2.5 trillion in meeting the Sustainable Development Goals (SDGs), which are key to our planet’s future. Private capital can play a significant role in bridging this funding gap. Increasingly, investors have been adopting a range of sustainable investing solutions, from ESG-friendly funds to impact investing solutions in frontier economies. 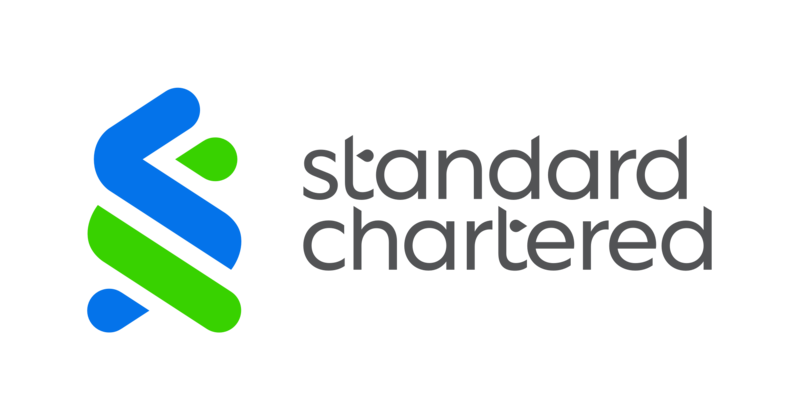 Standard Chartered’s recent survey across the global financial hubs of Singapore, Hong Kong, the UAE and UK, revealed significant interest among affluent and high-net-worth investors to put their savings towards key SGDs, including Affordable and Clean Energy and Clean Water and Sanitation. Sustainable investing is on the rise, but it will plateau unless the industry develops standardised measurement, which tops the list of investor concerns. According to the Global Impact Investing Network, 59 per cent percent of impact investors set targets to measure their progress on social and/or environmental indicators. This is backed by our own survey: investors are looking for specific measurement indicators and want to see them improve by 20-30 per cent through their sustainable investment. For instance, 44 per cent of investors looking to support SDG 7 – Affordable and Clean Energy – want to see a tangible reduction in energy consumption in return for their funding of conservation and efficiency initiatives. USD5.4tn is the size of wealth pool held by affluent and high-net-worth individuals in just Singapore, Hong Kong, the UAE and UK. Right now, around 17 per cent is channelled towards sustainable investing, with UK investors out in front. Research we carried out in 2018 told us that in Asia, 84 per cent of investors engage in some form of sustainable investing. The funds going towards sustainable investing can potentially multiply: while these investors currently allocate 16 per cent of their wealth to philanthropy, eight out of 10 of them are willing to shift some of this capital towards sustainable investing, if standardised impact measurement can be provided. Based on this trend, we could see up to USD870bn in potential fund flows from philanthropy towards sustainable investing. "Our goal – as responsible managers of wealth and capital – should be to drive greater flows of funds towards sustainable investing"
The numbers all led to the same conclusion: sustainable investing is a huge global opportunity and by overcoming the measurement gap, we can channel billions of dollars towards positive impact. Banks, fund managers and think tanks have the opportunity to club resources, information and expertise to contribute to the development of industry standards, aligned with investor expectations and strong risk management frameworks. 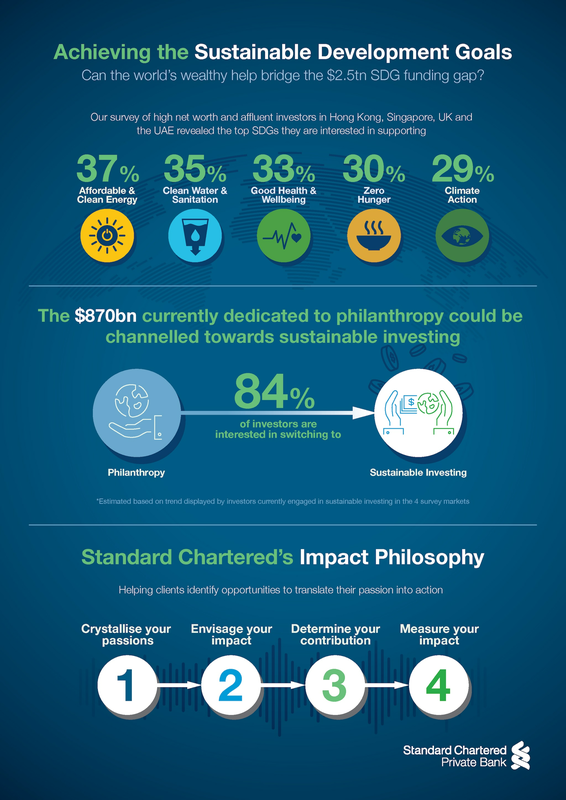 Standard Chartered is working to overcome the challenge with an 'Impact Philosophy' strongly focused on focus on measurement and underpinned by the Theory of Change, made popular by the US-based Aspen institute as a way to describe long-term goal of an initiative and the connections between activities and outcomes that occur at each step of the way. With a similar thought process, we have developed a measurement methodology for our clients in line with the global Impact Reporting and Investment Standards. Our goal – as responsible managers of wealth and capital – should be to build on the growing interest and drive a greater flow of funds towards sustainable investing. That means playing an active role in shaping the sustainable investing narrative, providing access to the right solutions and developing industry standards to help investors measure the positive change driven by their money.